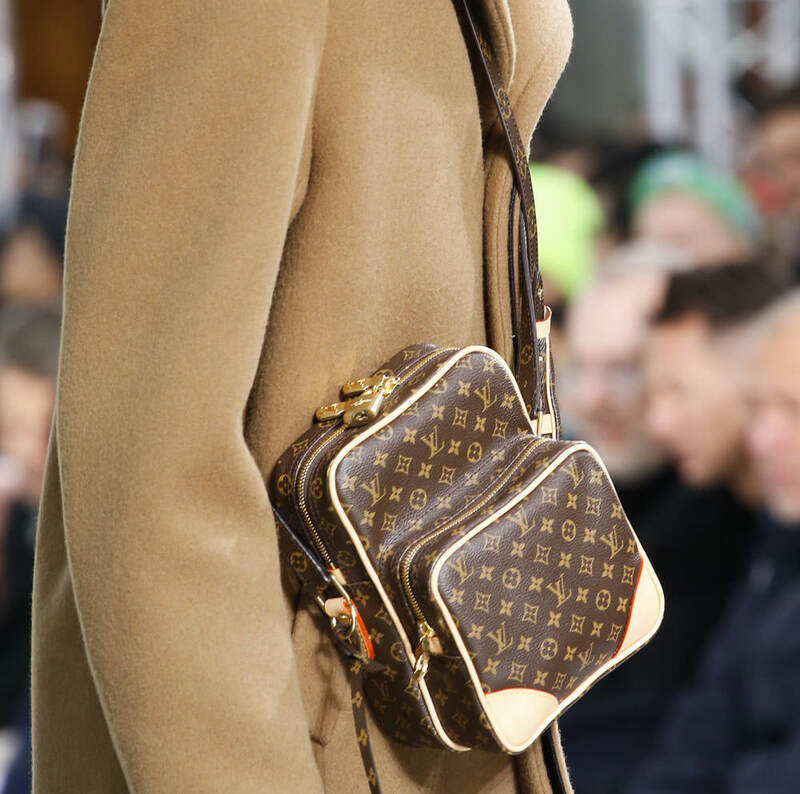 While we all sit under a blizzard in New York, a lot has been happening in Paris. 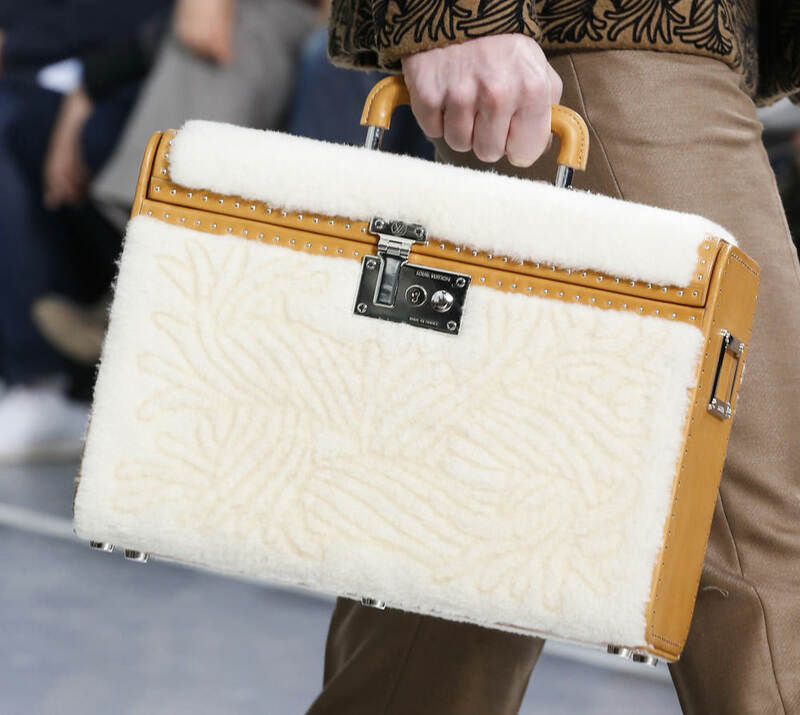 Couture shows just started, and immediately before them, the world's biggest menswear brands opened the Fall 2015 show season. 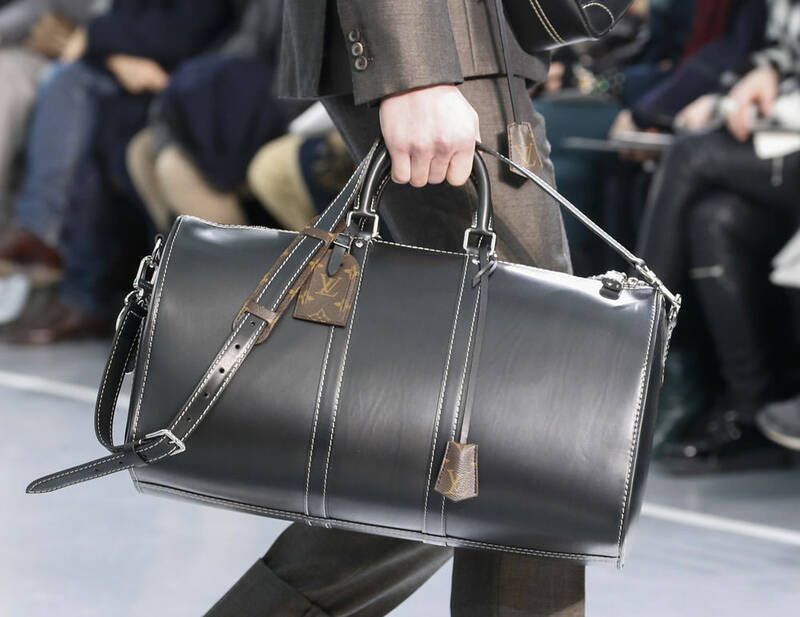 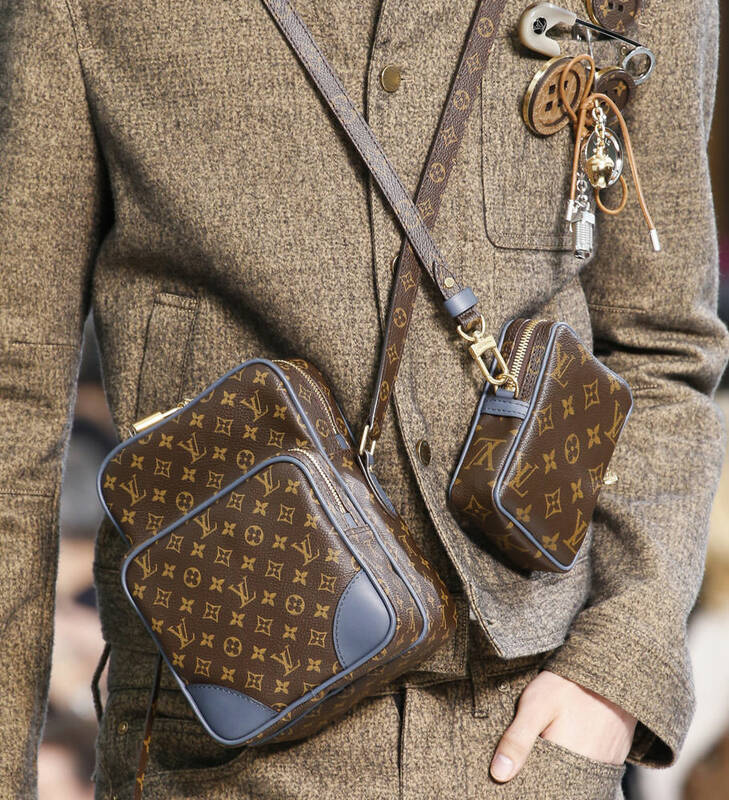 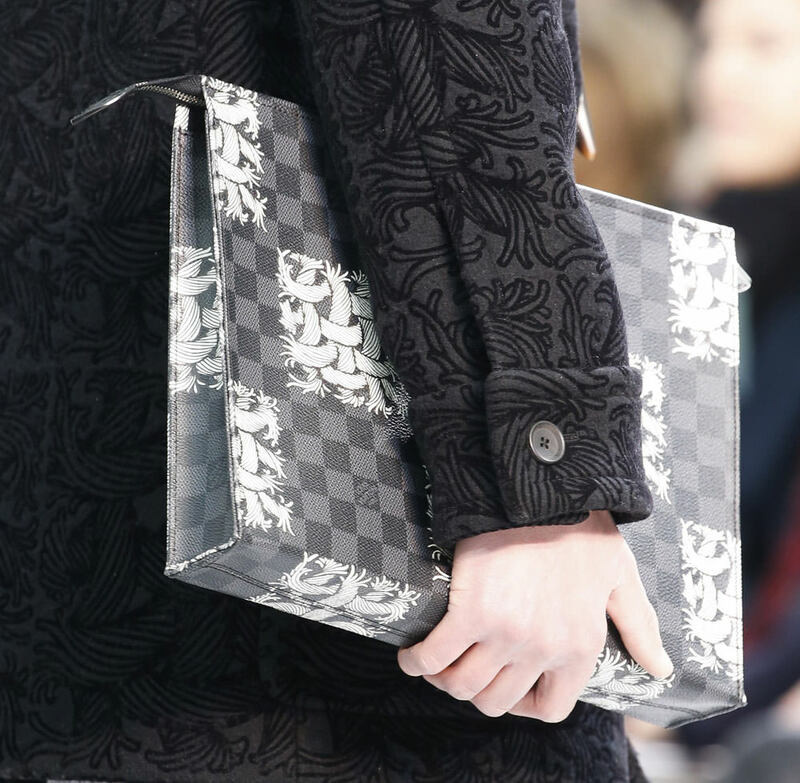 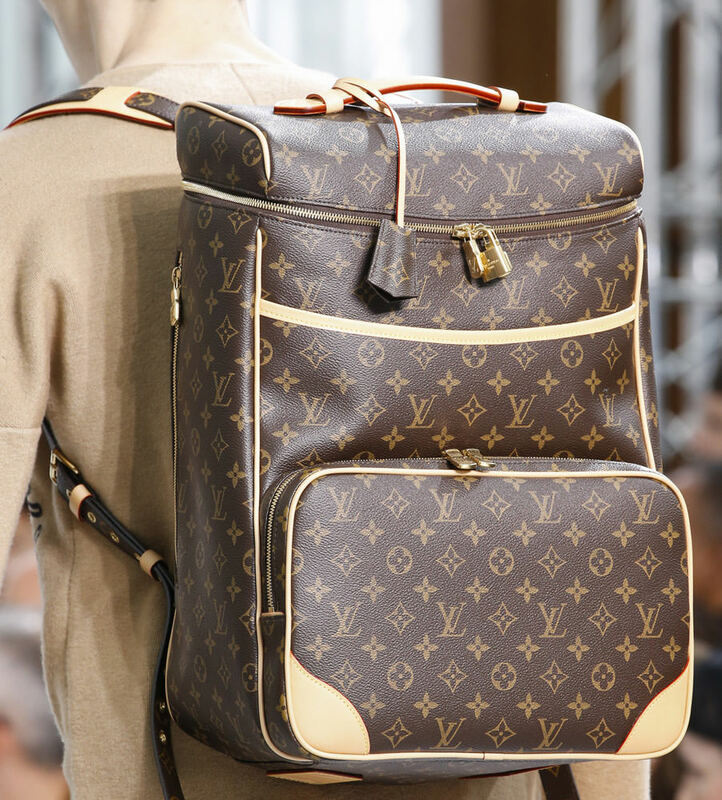 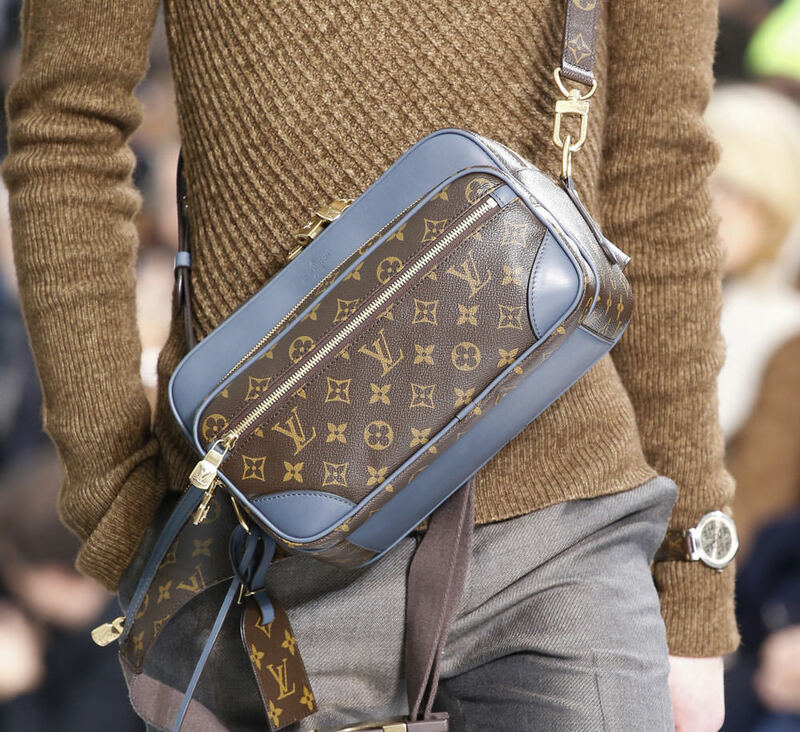 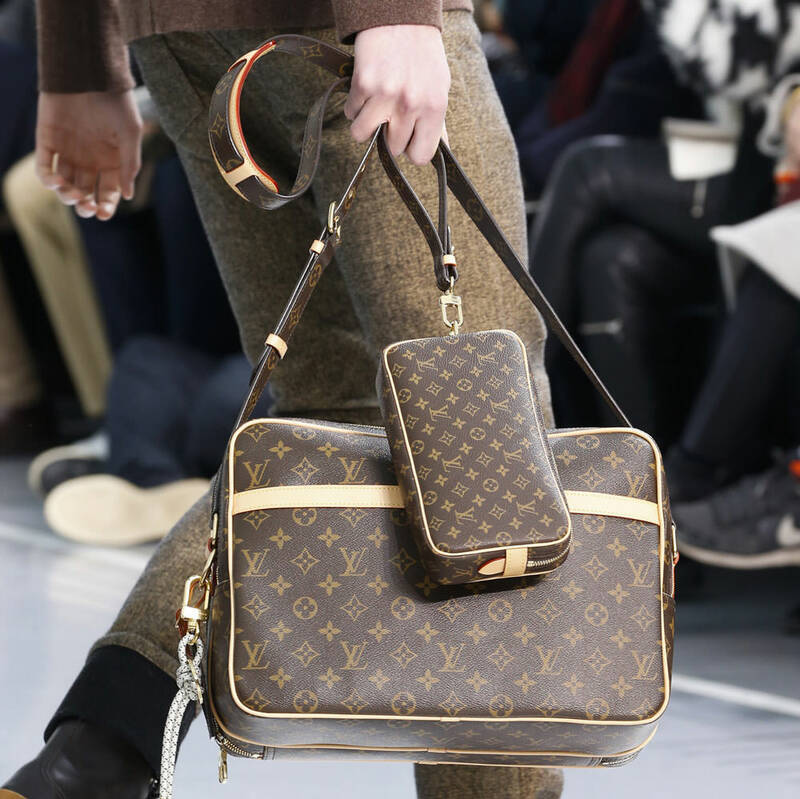 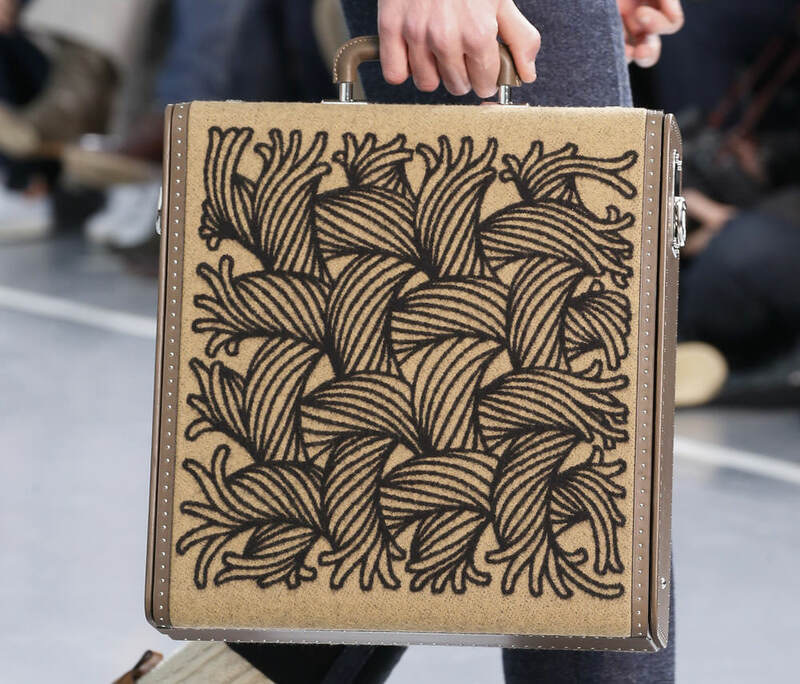 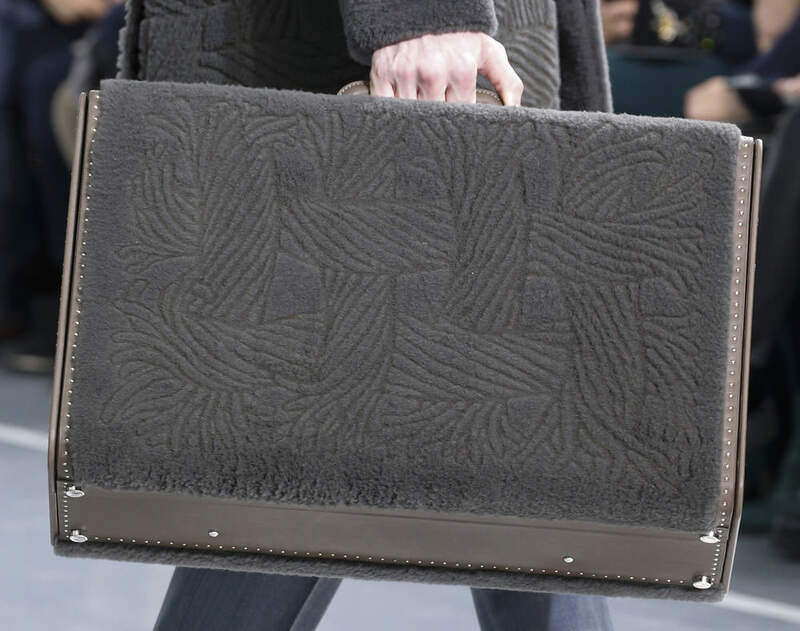 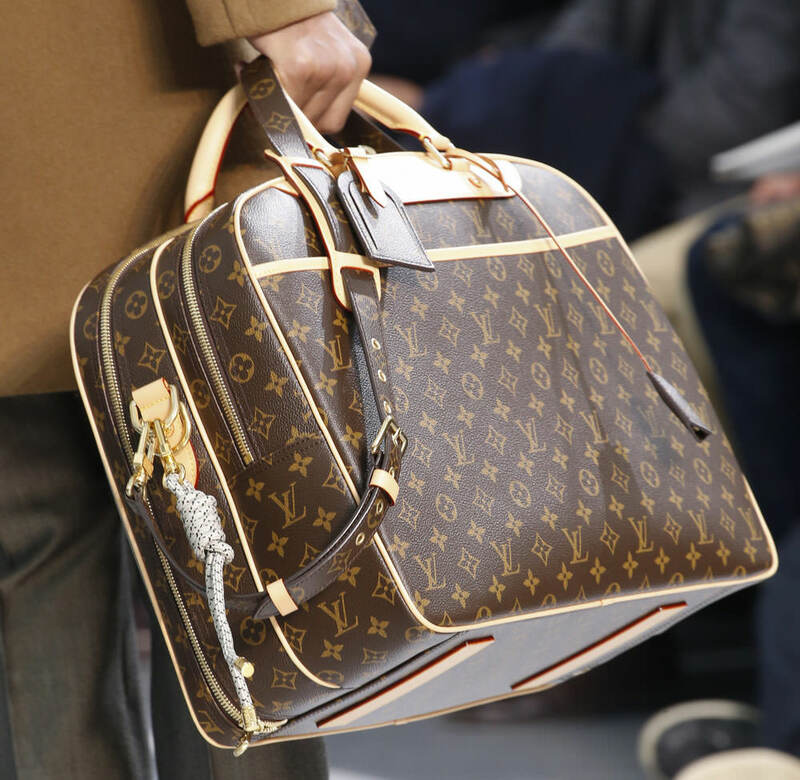 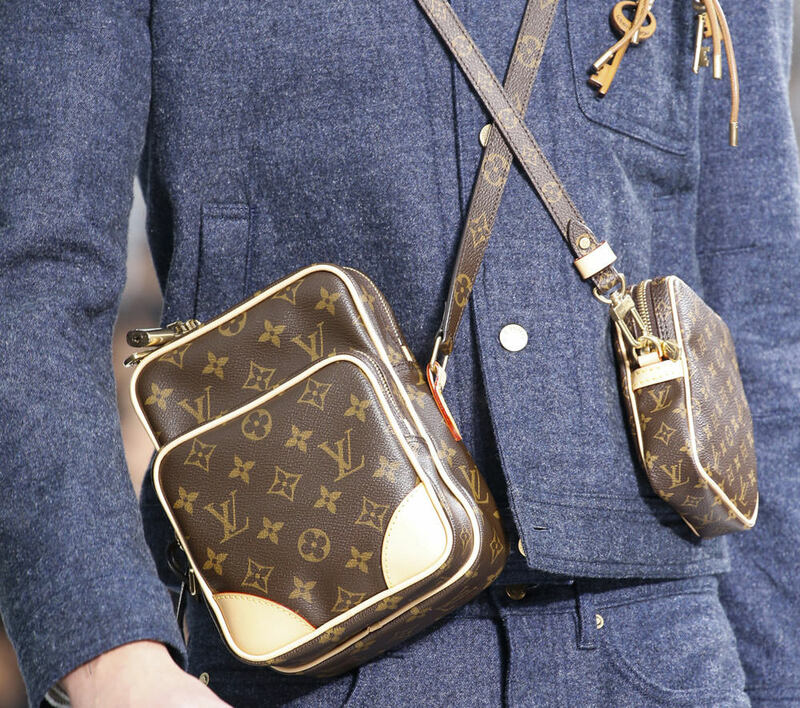 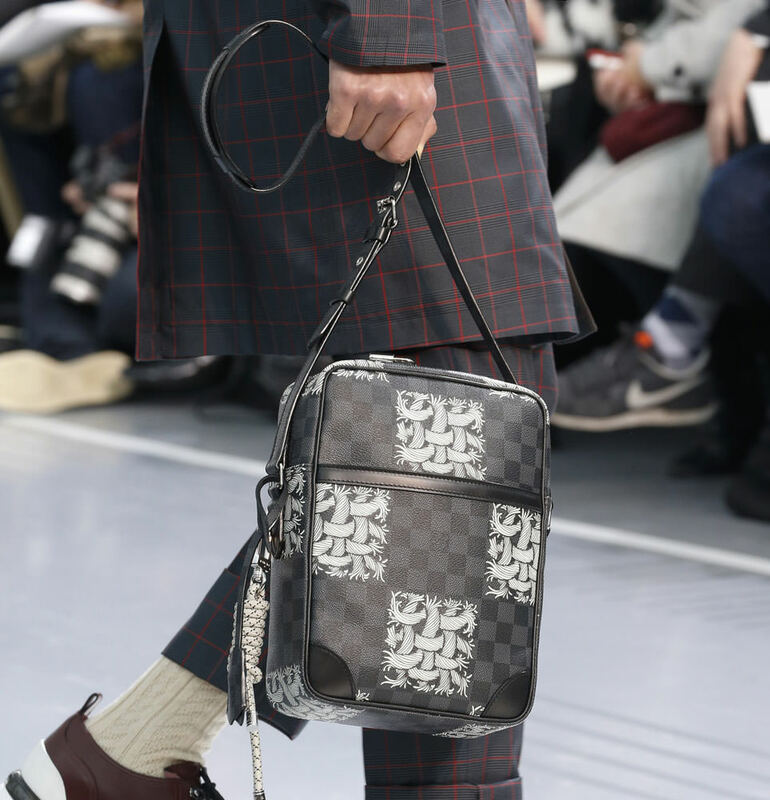 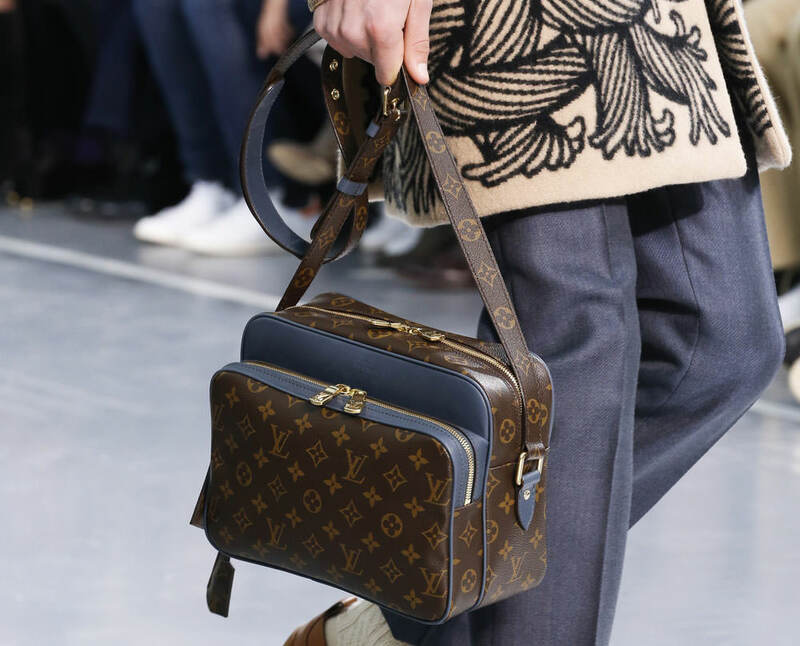 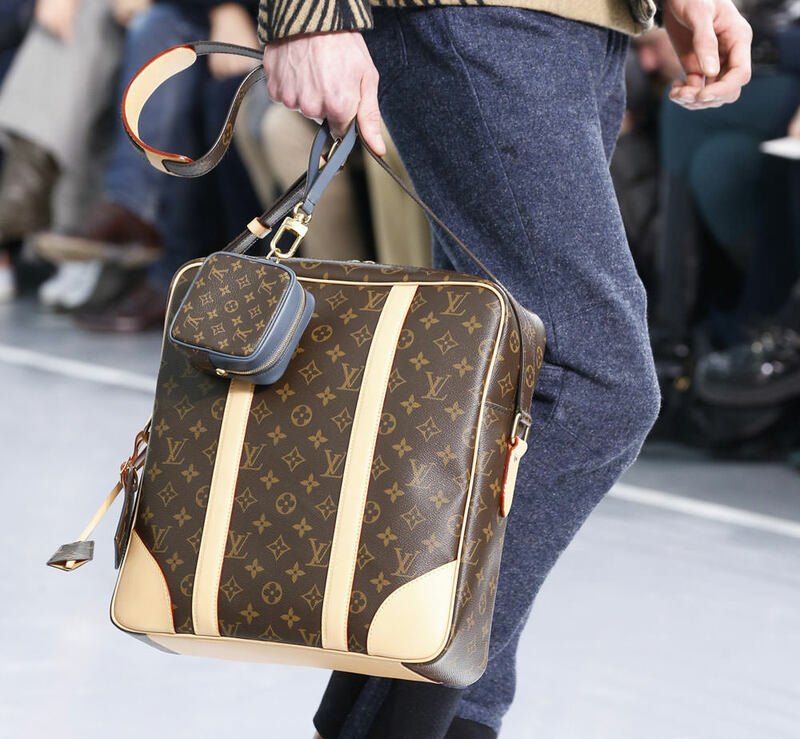 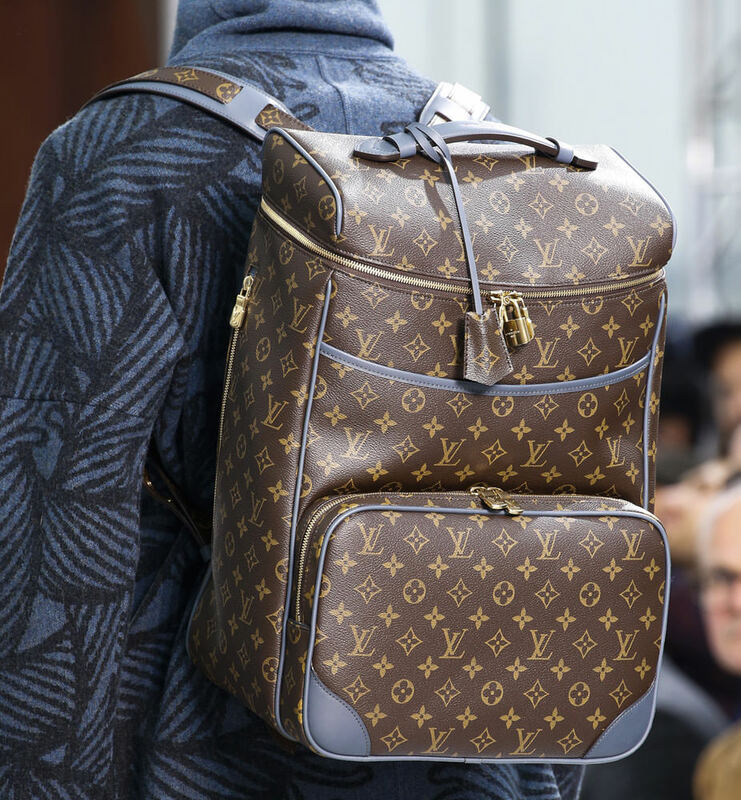 One of the last shows on the schedule was Louis Vuitton, and under the guidance of men's creative director Kim Jones, the brand's iconic monogram canvas has made a comeback. 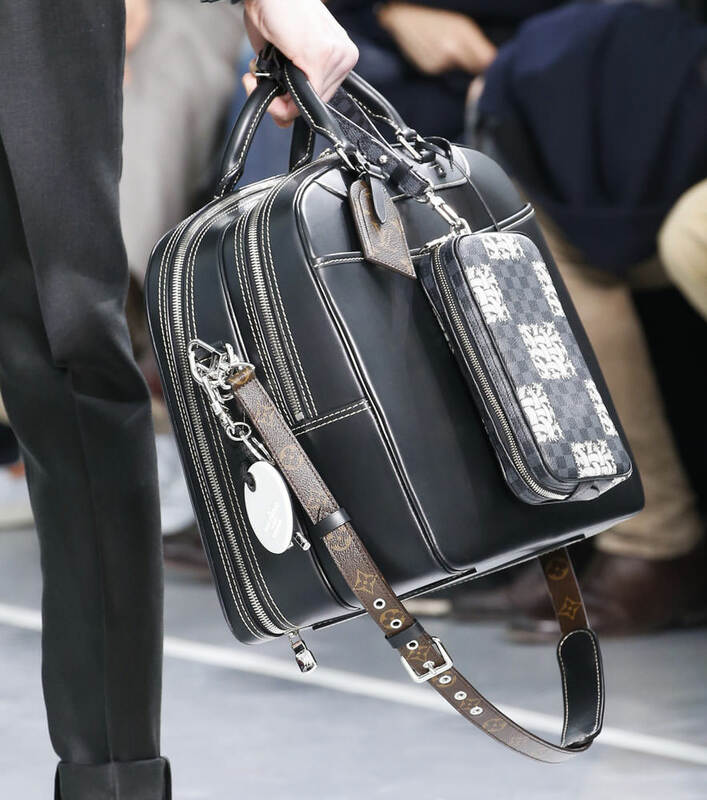 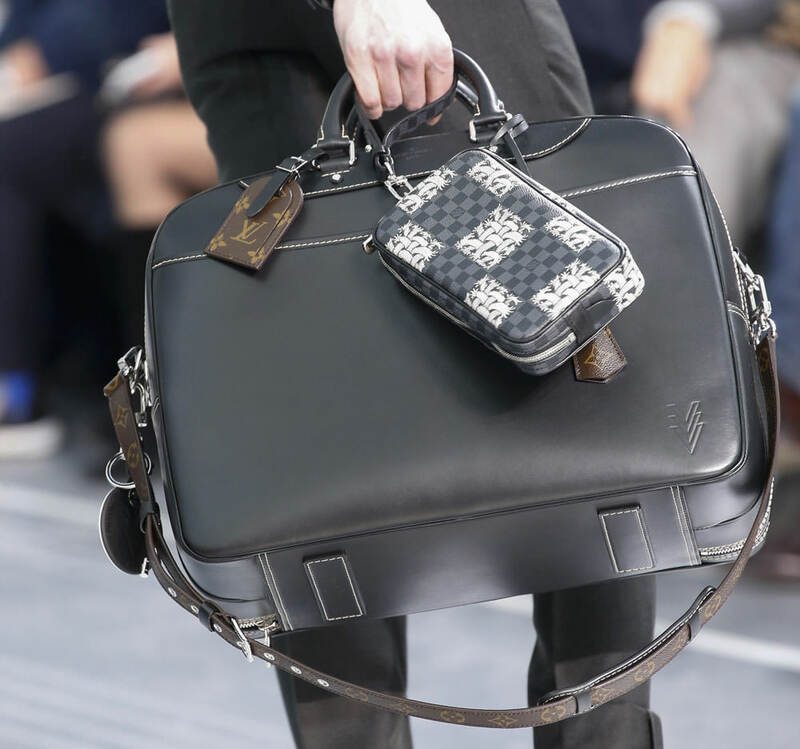 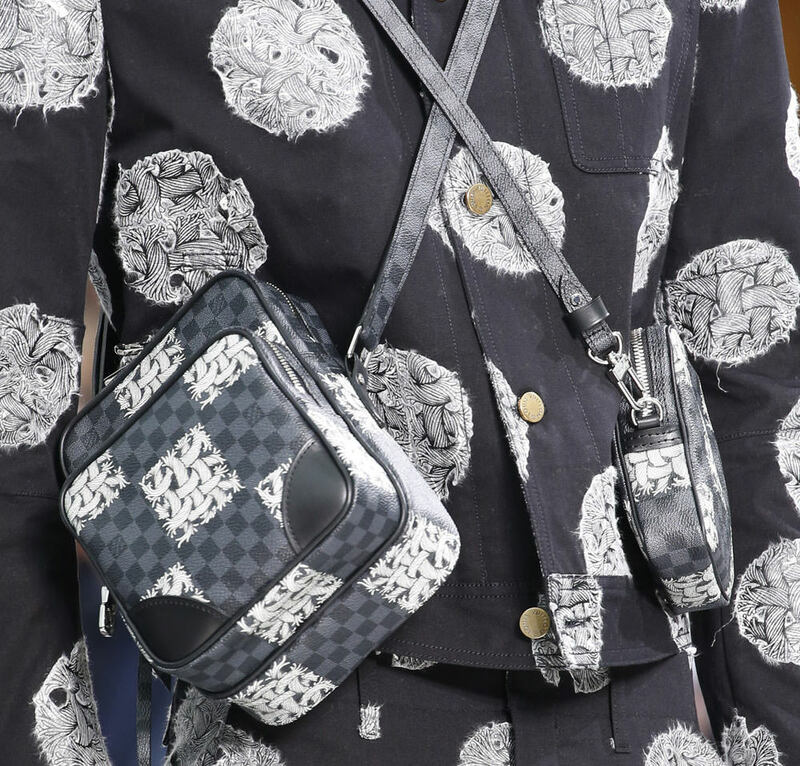 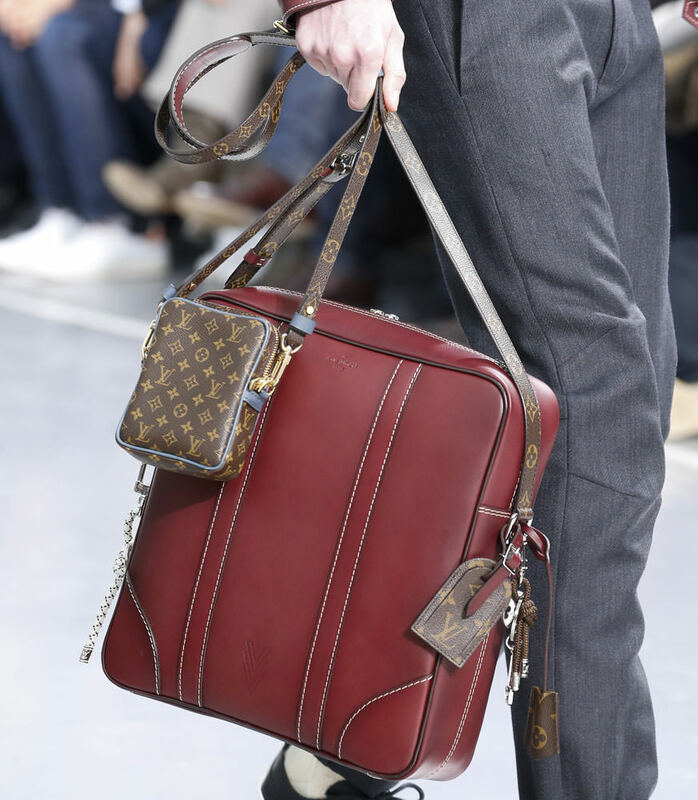 Jones has overseen the design on several impressive men's accessories collections over the past few seasons, but in the past, the emphasis has generally been on leather or Damier, Vuitton's less flashy signature print. 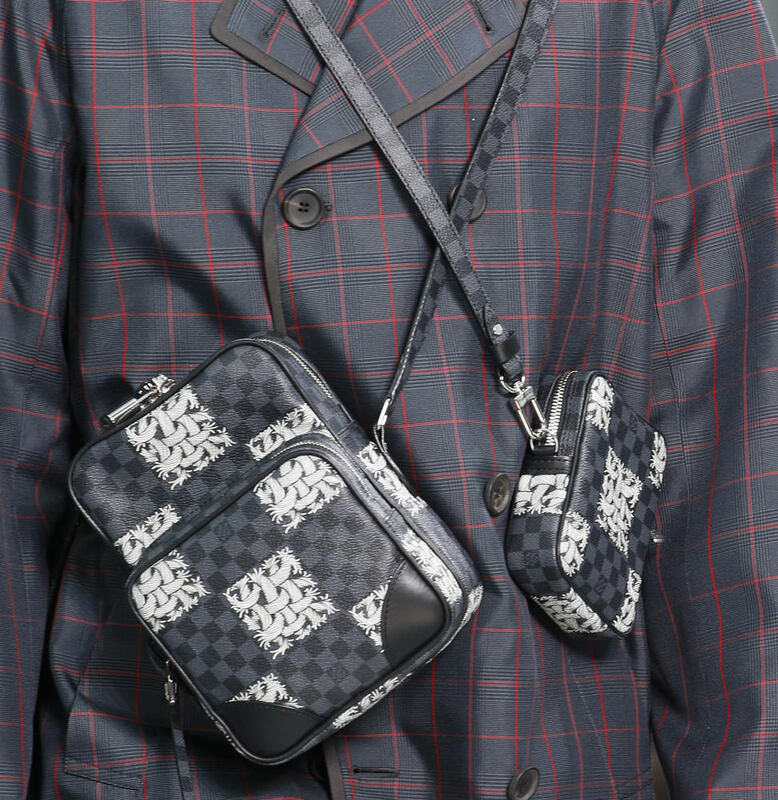 This collection does feature a new take on Damier Graphite, one with graphic rope detailing that pays tribute to late designer and artist Christopher Nemeth. 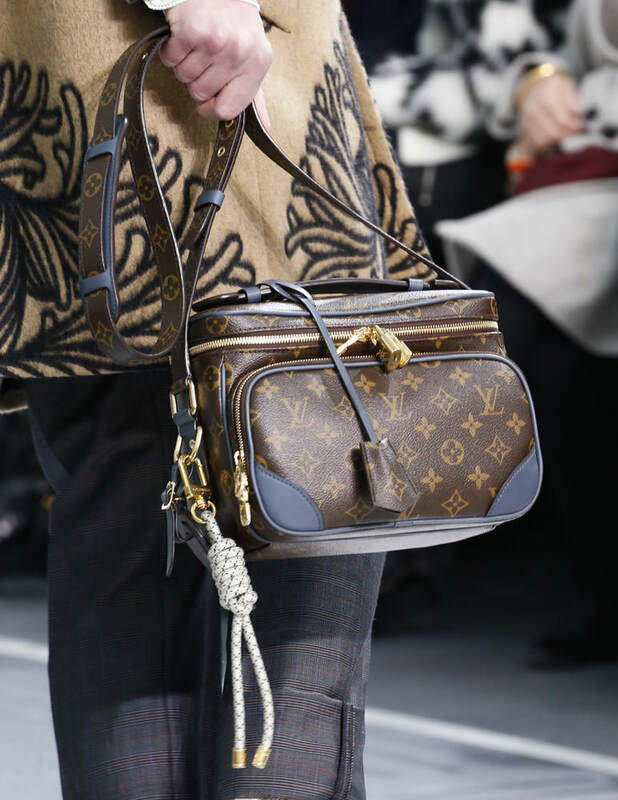 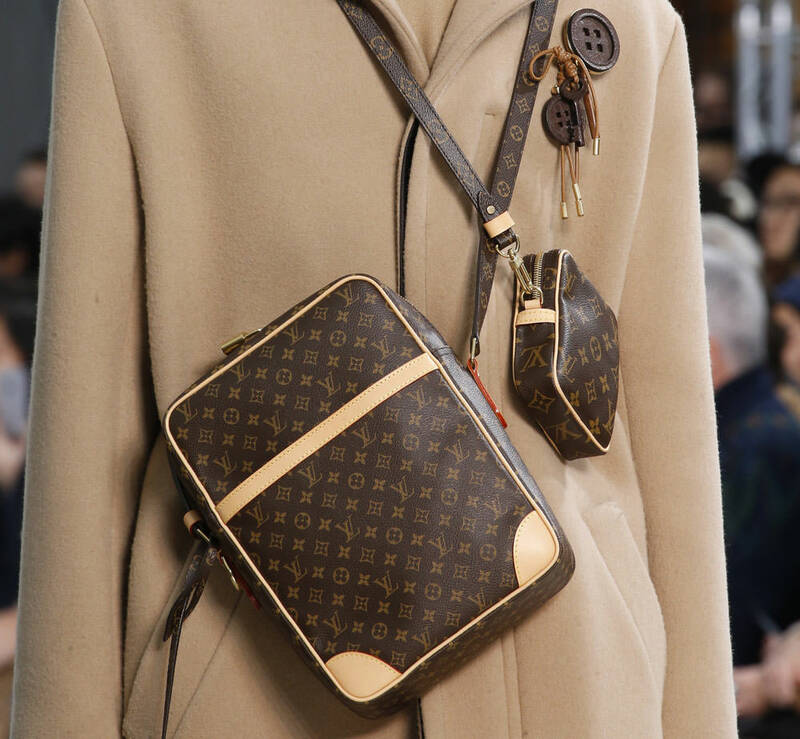 The unexpected star of the handbag show is monogram, though, and it makes its appearance in fairly straightforward ways: simply shaped bags and accessories that, on first glance, appear quite similar to bags Vuitton has made for decades. 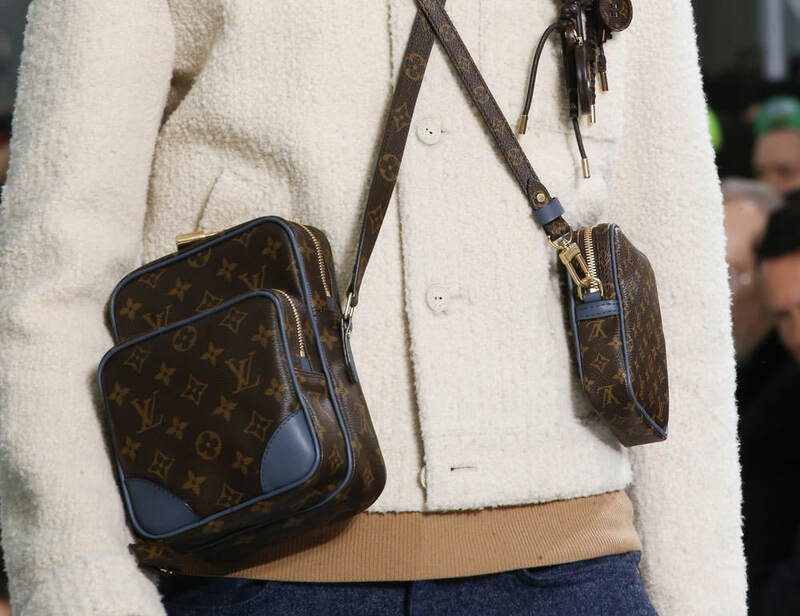 Many have contrasting trim or edge paint, though, and some come with collection-specific zipper pulls. 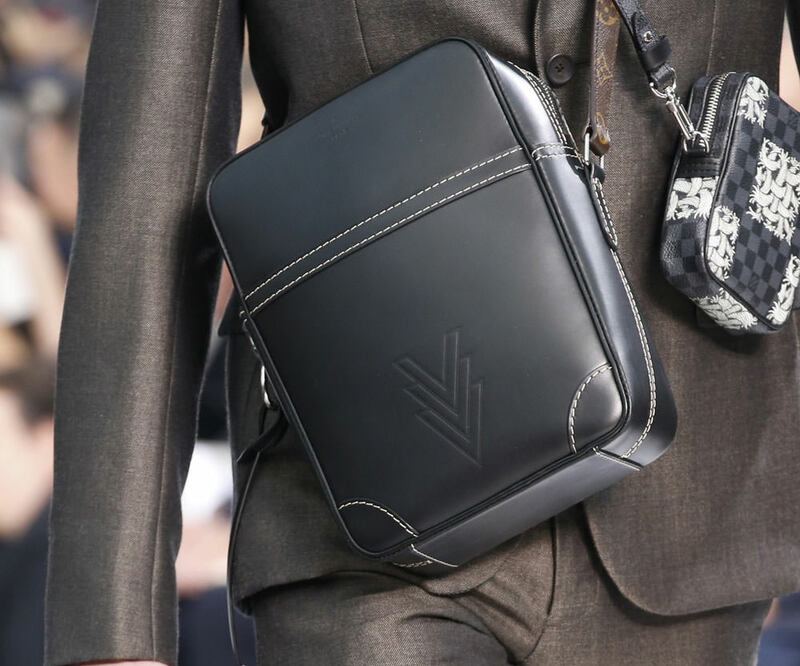 Check out all the accessory photos below; you can expect these bags to hit stores in about six months.